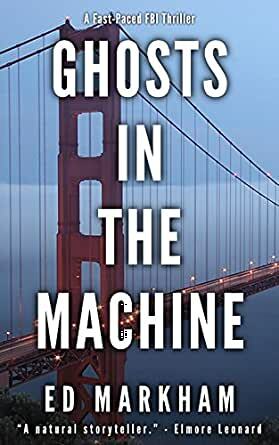 Ghosts in the Machine (A David and Martin Yerxa Thriller - Book 3) - Kindle edition by Ed Markham. Mystery, Thriller & Suspense Kindle eBooks @ Amazon.com. The billionaire founder of an Internet empire is dead. No one can explain what killed him. Another tech industry titan is missing. No one can explain how he disappeared. The FBI assigns David and Martin Yerxa to investigate. But father and son are outside their comfort zone among the Internet CEOs, tech journalists, and intelligentsia of Northern California. Together, David and Martin must unravel the mystery of one man's death and another's disappearance while battling the larger forces that seem to be working against them. 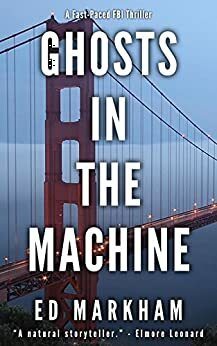 Ghosts in the Machine is a tense, thought-provoking thriller that will leave you guessing until the final shocking pages. "This boy&apos;s a natural storyteller. He knows how to develop character and plot, and knows to leave out the parts readers tend to skip." "I have read all 3 books in the series over the course of the past 2 days. The first 2 I gave 4 stars. I&apos;m going to bump this one up to 5. Dude knows how to tell a story." "Every once in a while an author writes fiction that strikes far too close to reality. Ghosts in the Machine is such a story." "Great book with a killer ending. The only thing that annoys me about Ed Markham is that I didn&apos;t find him sooner." Ed Markham is the author of three thrillers. All three feature David and Martin Yerxa, father and son, who work as investigators within the FBI's serial crimes division. Before his passing in 2013, Elmore Leonard called Markham "a natural storyteller," and said of his writing, "He knows how to develop character and plot, and knows to leave out the parts readers tend to skip." Originally from Birmingham, Mich., a suburb of Detroit, Markham now lives in Philadelphia with his wife and children. 5.0 out of 5 starsBaldcacci move over. There's a new kid on the block. I don't have much to add to what others have been saying about this terrific book. I read the first two in the series before this one and now have read them all--in order and back to back. I can't wait for the next installment. Ed Markham is a serious talent who's writing has been compared favorably to David Baldacci--a sentiment I share. Do not miss reading his books as I guarantee they will grip your attention like a vise. I hate having to wait for the fourth book in this series. I've never written a review on a book as I'm not very eloquent with writing, however I feel compelled to share my enthusiasm on the David and Martin Yerxa series. 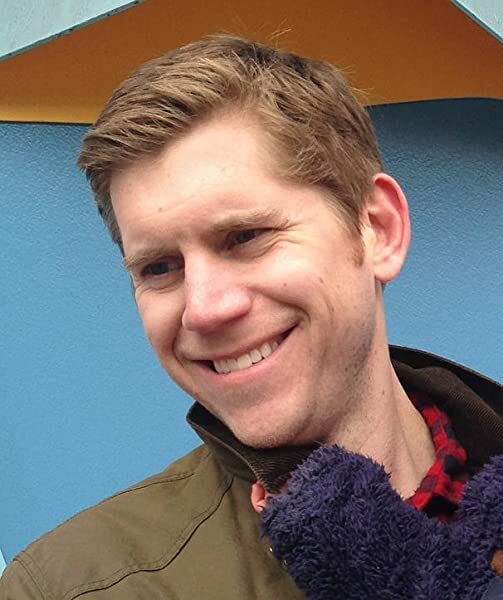 Mr. Markham has a natural flair for writing. The books flow smoothly and are riveting! I love the characters. Others write synopses of books which to me, ruins it for others. I won't do that, but I will say this series is a MUST read. I can't wait for the next book in the series! To be honest, I'm a tight wad when it comes to spending my money. I read lots of "free" Kindle downloads and only buy when I get hooked on an author's ability to tell a good story. Ed Markham hooked me with the first in this series and upon finishing it I immediately bought books 2 and 3. If you are a fan of John Sanford's Lucas Davenport series you will likely thoroughly enjoy this series. Great plots that keep you engaged and wanting more. I just hope that he continues with a book 4 - hint hint hint! Yikes! Very well written and scary as hell! The reality this delves into is enough to make you want to turn EVERYTHING off - go completely off the grid. Good work by Markham because this one won't leave you guessing, it'll leave you shaking! 5.0 out of 5 starsVery good read...could be taken from the headlines. A very good read. Could have been taken from our daily headlines! This was a real thinker of a book and has some great insight into social media. I have enjoyed all 3 of the author's books with these characters. Hope more are turned out! Just finished this third book in the series and I enjoyed it just as much as the first two. Good suspense and love the father/son duo. Mr. Markham is an accomplished writer who pulls you in to the mystery. Now I just have to wait for him to write the next one! Ed Markham is the real deal. I read a lot of self-published stuff that's just not good. This guy's work IS. I hope someone takes notice and gives him the support he deserves (marketing, editing etc), he's a major talent. The first Yerxa book was so good I bought the other two and they were a bargain. Highly recommended! Other reviewers have said so many good things about Markham's books; I agree with them it's a great book and the author is in the league with some of my favorite authors including Baldacci..